Here at AccountsPortal, we're pretty excited about Making Tax Digital — the UK government's initiative to make preparing, reporting, and filing taxes faster and easier (although probably not less financially painful!). Making Tax Digital is going to change a great deal about how small business owners deal with their taxes, and we'll explain what that means for you. Naturally, our online accounting software is built to handle the Making Tax Digital challenges, but we know that's only part of the solution. Rather than just provide a long list of all the changes, we've thought about all the questions that you need answered. Then, we dug into the details to get the best answers to all those questions. Can you give me a quick summary of what Making Tax Digital means to my small business? Making Tax Digital affects all businesses and landlords. Making Tax Digital is compulsory — you will need to start using it in 2018, 2019, or 2020, depending on your business circumstances. You will need to record your various tax affairs digitally, using online accounting software or an app. You or your accountant will then provide electronic information to HMRC on a quarterly basis. Making Tax Digital should reduce the amount of time, effort, and stress it currently takes to prepare and file taxes. You will get a centralised view of all your tax information, entitlements, and liabilities, so you know exactly how much you owe at any point in time. It's an initiative led by the UK Government and HMRC designed to make it faster and easier for people to record, understand, and file their taxes electronically. It was originally announced in 2015.
Who does Making Tax Digital impact? Almost everyone. If you pay tax and file a tax return in the UK you will be affected — this includes businesses, landlords, individuals, nonprofits, and more. Essentially, if you file a tax return, use an accountant, or get income from any place other than standard PAYE payroll, Making Tax Digital matters to you. Is Making Tax Digital the same as filing a tax return online? No. Making Tax Digital is a completely new approach to reporting on, updating, and filing tax information. For individuals, the self-assessment tax return will, over time, become a thing of the past. Is Making Tax Digital Compulsory? Yes. All businesses and some individuals must use the new digital systems that HMRC has created to file their taxes electronically. Can Online, Cloud Accounting Software Help Me with Making Tax Digital? Absolutely. Good online accounting and bookkeeping software can be integrated directly with Making Tax Digital. Software like our very own AccountsPortal will make recording, checking, and transmitting tax information to HMRC almost effortless. What are the expected benefits from “Making Tax Digital” for my small business? You get a complete view of all your tax information, liabilities, and entitlements from a central place — your personalised digital tax account. It increases accuracy and reduces errors involved in reporting and filing taxes, so you only pay what you legitimately owe. You will have an up-to-date understanding on exactly how much you owe and the tax payments you will need to make. You don't need to wait until the end of the year to understand how much you or your business owes. Updating HMRC with your business and financial information will be faster and easier — meaning more time for you to grow your business. There's a lower chance of unwelcome compliance checks and audits from HMRC. Good news! You'll get digital nudges and prompts from HMRC to ensure you are capturing and reporting the correct information at the right time. Online billing means you can easily pay your tax straight away. When must I start using Making Tax Digital? The clause to introduce digital reporting was initially expected to be included in the final Finance Bill. However, as a result of the call (in April 2017) for a snap general election, the relevant clause was excluded from the Finance Bill and, as a result of this, it is not clear if the timeline below will be pushed back or not. April 2019 - Income Tax and NICs reporting for unincorporated businesses and landlords with turnover below the VAT threshold. VAT Reporting for all businesses (unincorporated and incorporated) registered for VAT. April 2020 - Corporation Tax submissions for all relevant businesses. Note that these deadlines could change based on government consultations, so check the HMRC website or with your accountant for the latest information. Individuals in employment and pensioners will not have to use the digital service unless they have secondary incomes of more than £10,000 per year from self-employment or property. HMRC expects businesses to update their tax records and information quarterly. Will “Making Tax Digital” reduce the amount of paperwork and information I need to provide to HMRC? We know, tax paperwork can be almost endless — unless you have excellent accounting software — but you'll be glad to know Making Tax Digital will reduce that burden (and also save a few trees along the way!). It will bring together details from various areas and make that information available to HMRC automatically. For example, HMRC can gather details from employers, banks, building societies, and other parts of the government. They can also collect earnings details from your employer, or pension information from the Department of Pensions and automatically update it in your tax account. This will reduce the amount of reporting and information gathering you need to do, and that can only be a good thing. “Static” information should only need to be provided once, resulting in less work and administration from small business owners and accountants. Perhaps the biggest change for most people and businesses is that the yearly tax return will be a thing of the past, as will quarterly VAT returns which will be submitted directly from your accounting software. How much will the transition to Making Tax Digital cost my business? Time spent training on new digital tools and quarterly submission of information. Purchase of new apps and upgrading existing software. If you're already an AccountsPortal customer, you don't need to worry about this point. Some businesses may need to purchase new hardware or upgrade existing hardware. Does this change how I, my accountant or tax agent interact with HMRC? Indeed it does. You can interact with HMRC digitally in a way and at a time that suits you. In addition to the personalised digital tax account, HMRC will provide support, advice, and prompts to you through various digital channels. You can contact HMRC through web chat and secure messaging. Even better, your digital record-keeping software can be linked directly to HMRC's systems, making it fast and easy to accurately exchange important information. Of course, AccountsPortal will fully support Making Tax Digital. Will Making Tax Digital reduce the chances of an audit or compliance checks? In addition to MTD, the way you view and pay personal tax as an individual will change. The personalised digital tax account is at the heart of Making Tax Digital. It contains all of the available information that HMRC holds on you, your business, your taxes, and various other areas. You can check that these details are current and accurate and correct them if not. This personalised account means you can get one single, complete view of your, and your business's tax liabilities and entitlements. Think of it as similar to an online bank account, except that instead of telling you what you have, it tells you what you owe! 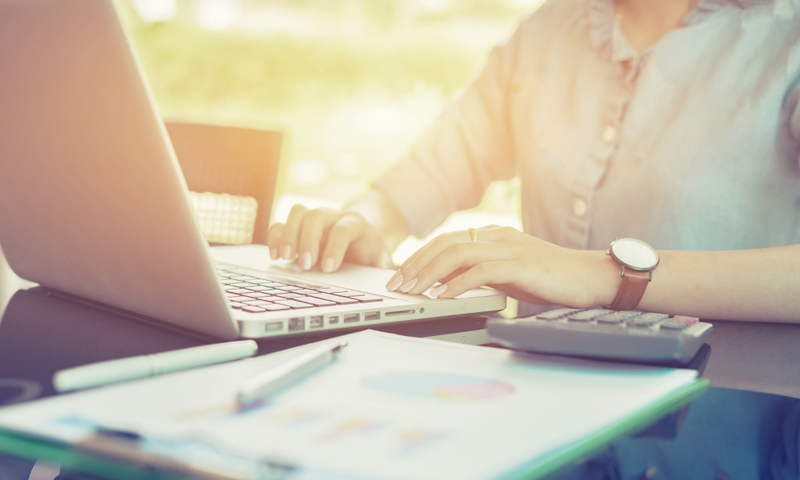 HMRC has said it will use this information to tailor services to particular types of taxpayers, for example small businesses, non-profits, individuals, and others. The initial rollout of these accounts is planned for late 2017. Will “Making Tax Digital” help me understand how much tax I owe? That's the plan. One of the biggest benefits of Making Tax Digital is that HMRC will collect and process information to calculate your tax burden much more quickly, hopefully “in real time.” This will help to prevent errors and will ensure you don't get any nasty payment surprises! This section lists the details the steps on what you need to do next. How do I need to keep records for Making Tax Digital? HMRC has stated that businesses can continue to use spreadsheets (shudder!) or three-line accounts in certain circumstances. They have stated there will be free software for businesses with straightforward tax affairs but won't be delivering this themselves. Businesses will not have to make or store receipts or invoices digitally. Notwithstanding this, we highly recommend using small business accounting software that integrates directly with Making Tax Digital. Ensure you're using software or apps that can integrate with HMRC's Making Tax Digital system. Talk to your accountant about how they can help you prepare for Making Tax Digital. Keep track of your tax affairs digitally using online accounting software or apps. Provide tax data to HMRC quarterly, using digital tools. This tax data can be created automatically from the information in your accounting system. Provide a complete end-of-year position to HMRC using digital tools. Work with your accountant to ensure everything is recorded and reported correctly. How will AccountsPortal support MTD? Although we, along with everyone else, are waiting for the final requirements to be published by HMRC, we have already started the process of preparing our systems to be able to provide a fully integrated solution for MTD. We are working with HMRC to allow our systems to communicate directly with HMRC's systems, which will allow for the necessary submissions to HMRC directly from within AccountsPortal. This includes quarterly Income Tax/NICs returns, VAT returns and the End of Period Statement. As you can see, Making Tax Digital isn't actually that complicated, so long as you have the right software to make the most of the new system. The combination of more transparent taxation, a centralised view of your tax status, and the reduction in effort, time, and stress could mean Making Tax Digital is a great thing for you and your small business.